Three of our favorite games last year were Blur, Snoopy Flying Ace and Hydro Thunder Hurricane. While all three titles received critical praise and similar review scores, two were heavily marketed (Blur and HTH), two were licensed properties (Snoopy and HTH), two were budget XBLA titles (Snoopy and HTH), and unfortunately only two sold well (Snoopy and HTH). 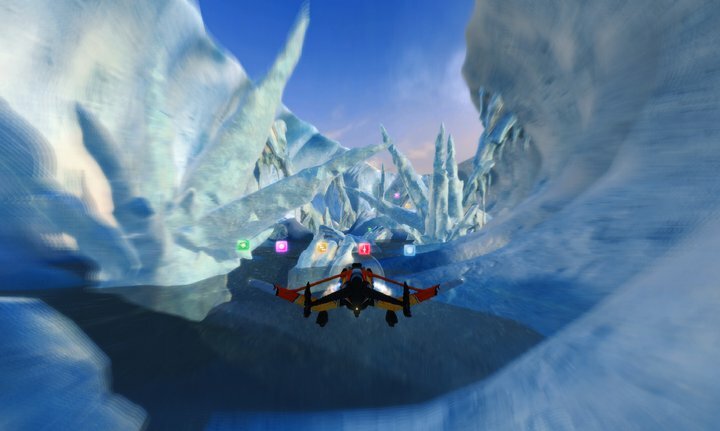 SkyDrift is poised to launch next week on Xbox Live Arcade and hopes to replicate the critical success of its progenitors. At first blush, SkyDrift feels like the offspring of Blur and Hydro Thunder Hurricane. The game plays very similar to Blur, Mario Kart, Diddy Kong Racing et al. Player’s race against their opponents using various weapons to gain and maintain the lead. The game adds a few elements along the way to expand the formula, such as reverse maps and elimination races, but it’s largely stuff players have seen before. Which isn’t to say SkyDrift doesn’t execute this formula well, far from it, the game just isn’t all that original. We haven’t played the entirety of the game so we aren’t going to rule out a few potential surprises that change our tune. The game itself looks rather impressive. The outdoor environments are beautiful and full of multiple pathways and the occasionally dynamic event. Though from our playthroughs it seems for better or worse, players won’t need to avoid falling debris as it is there for appearance only. The game features multiple unique paths allowing players to find one that fits their style. The game keeps a good balance between allowing casual players to crash and burn without too much of a penalty while still keeping skill the main factor as to who will win a race. Various awards and unlocks are given after each race to keep players interested, which is nice to see. All in all, the game should be a great deal of fun for fans of racing titles. It fills a clear void on the XBLA platform and needs to be on your radar. Unfortunately, the game doesn’t have much in the way of personality, which was one of the biggest detriments to Blur. But if the game can utilize the low price point to build a strong player base it might not need one. As playing online allows players to bring their own unique personalities to the table. SkyDrift deserves a chance, make sure to check out the demo and XBLA Fans when the full game launches next week. 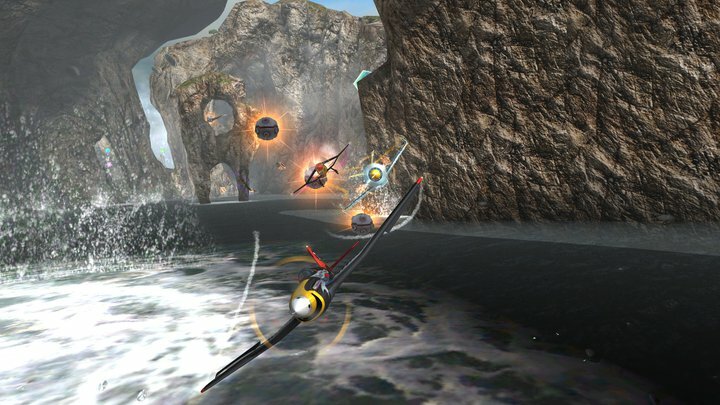 SkyDrift was developed by Digital Reality and will hit XBLA this September 7 for 1200 points.